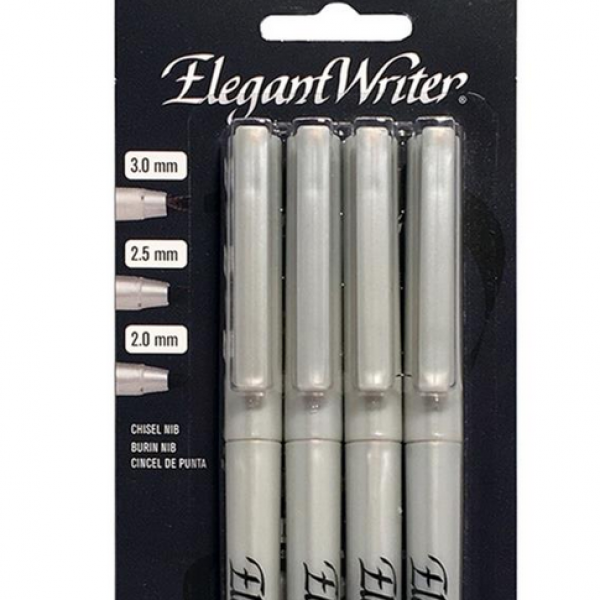 SPEEDBALL-Elegant Writer Calligraphy Set. This kit has everything you need to learn the art of beautiful handwriting quickly and easily. Speedballs special calligraphy instruction booklet outlines a simple step-by-step method for creating beautiful italic letters. 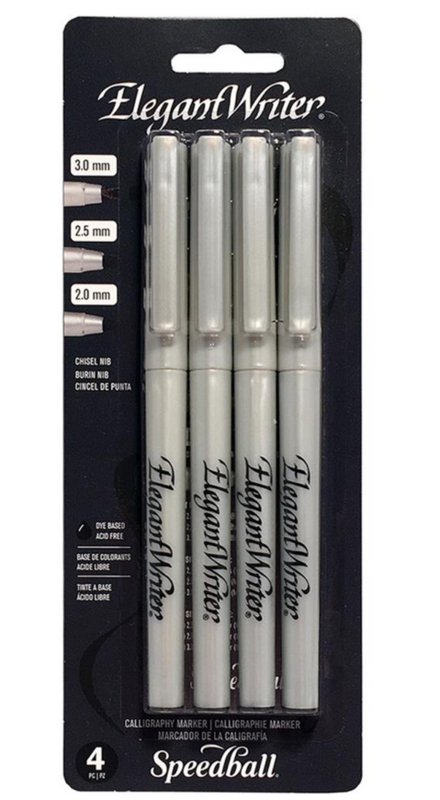 Kit contains: two black fine point markers (2.0mm), one black medium point marker (2.5mm), one black broad point marker (3.0mm), and a calligraphy instruction booklet. Acid free. Conforms to ASTM D4236. Made in USA. SKU: elegantset. Categories: Supplies, Pens & Pencils. 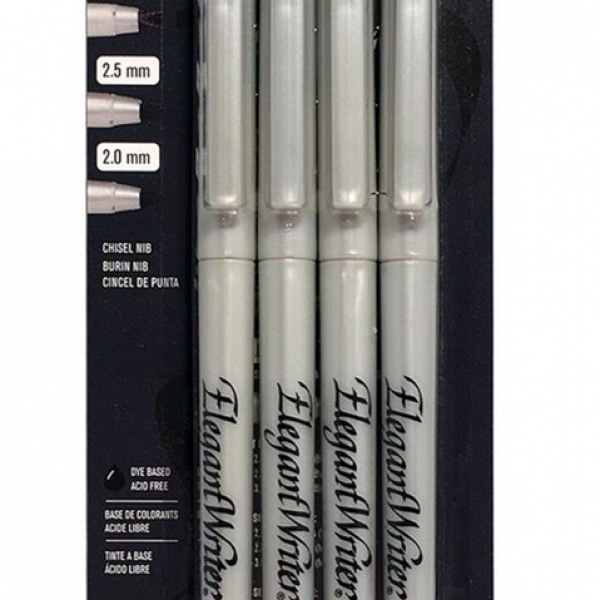 These permanent calligraphy markers appeal to both beginning and experienced calligraphers alike. 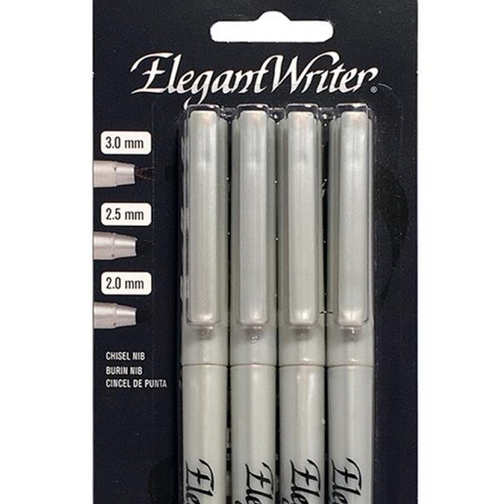 Better porous-plastic nib design with sharper line definition brings ease and beauty to calligraphy and puts extra style in everyday writing. Includes an instruction guide. @mandsherring showed me this pen that runs into different colors! I’m getting it for my store ASAP!